MINSK, March 19. /TASS/. 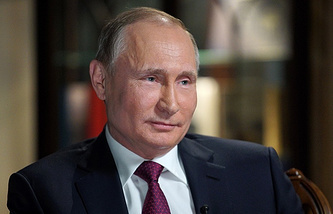 Belarusian President Alexander Lukashenko congratulated Vladimir Putin on a convincing victory in the Russian presidential election, voicing confidence that bilateral strategic partnership will be further enhanced. "This result demonstrates that Russian citizens have high trust and support for the current line towards the country’s sustainable social and economic development and strengthening its authority on the international arena. I’m sure that historic ties of friendship and mutual understanding between our peoples will become a foundation for further enhancing Belarusian-Russian strategic partnership," Lukashenko said in a telegram, according to the Belarusian presidential press service. The president voiced hope that Putin will pay a visit to Belarus. "We expect that you will visit our country to hold a meeting of the Supreme State Council of the Union State and discuss topical issues of bilateral cooperation," the Belarusian leader said. Lukashenko wished Putin good health, inexhaustible energy and further achievements for the sake of the brotherly Russian nation.